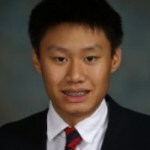 Albert Zhang, Contributing Writer, is a young artist and writer from Atlanta, Georgia, where he attends The Westminster Schools. At school, he is Head Editor for The Bi-Line, the school newspaper, and oversees as Sports Section Editor as well. He is also Co-Editor-in-Chief of Evolutions Magazine, the school’s annual creative writing magazine. Albert attended The Kenyon Review workshop, was a SCAD Silver Scholar, and has been published locally and nationally and exhibited at Atlanta’s High Museum, Capitol Building, and National Fair.